Workers were drilling 80 feet beneath the surface of Bell Park on Monday to take core samples. 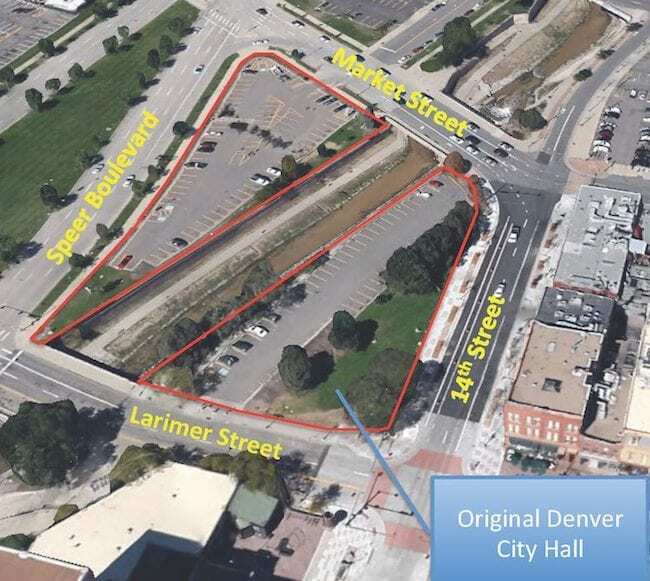 The mystery buyer who has the prominent “Bell Park” site along Speer Boulevard under contract has taken a preliminary, but necessary, step in buying one of the most high-profile sites in downtown Denver. 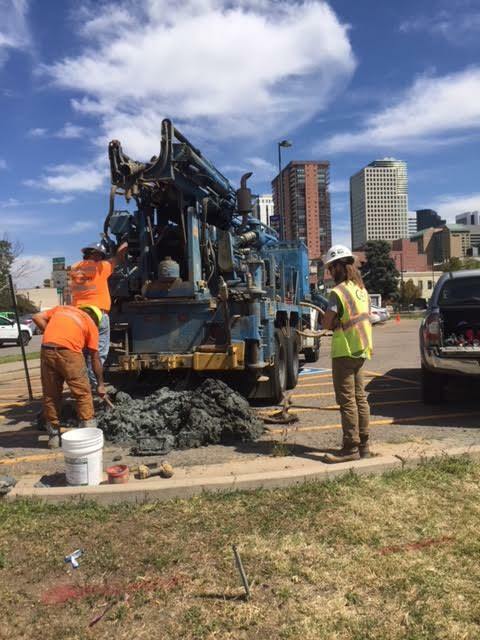 The unidentified buyer hired the firm Terracon Co., which on Monday was boring 80 feet under the surface of the site to take core samples on the parcel that also is bordered by Larimer, Market and 14th streets. The site is owned by Paradise Land Co. Last May, Buzz Geller, the principal of Paradise, told Rebchook Real Estate Corner that the 65,000-square-foot site was under contract. However, a nondisclosure agreement prevents him from identifying the prospective buyer. 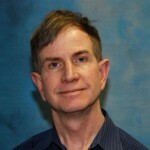 “In my opinion (taking the boring samples), starts everything,” Geller said. Bore samples are taken to check the stability of the ground, Geller explained. “They want to see how far they have go down with caissons” to support the building, he said. 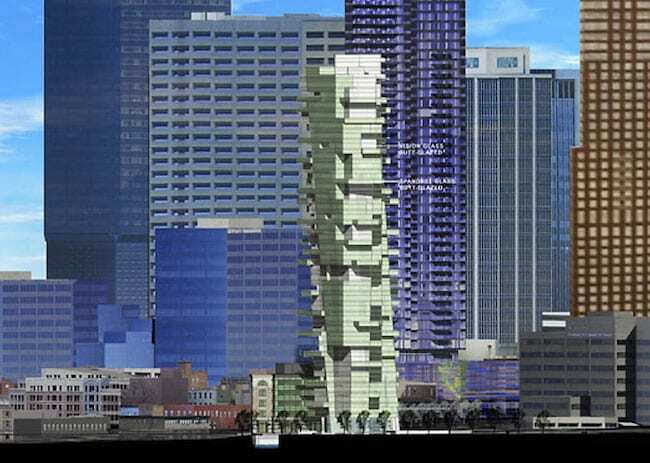 A decade ago, Geller planned to develop “Bell Tower,” a luxury, 34-story condo tower, on the site, which is adjacent to the original Denver City Hall. Bell Tower, designed by Fentress Architects, was to have the “edgiest” architecture of any building dotting downtown Denver’s skyline. The tower needed to be distinctive given the importance of that gateway site, Geller argued at the time. Because of the Great Recession, Bell Tower was never built. Under a planned unit development agreement, the maximum size of a building on the site would be 400,000 sf with a maximum height of 375 feet. Although Geller hasn’t disclosed the purchase price, Paradise Land Co.’s website describes its value as $50 million. Permitted uses on the site include, retail, office, hotel, residential and a parking lot. A rendering of Bell Tower, which Buzz Geller never built because of the Great Recession. The site is now under contract and the new buyer’s plans may include a hotel. Geller said he doesn’t think the new development on the site will have an office component, but he said he wouldn’t be surprised if it includes a hotel. “I would think if they did close on it, they would want to build it out to its maximum size,” Geller added. Geller said he has no idea when the deal might close. 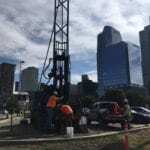 Downtown’s skyline is in the background, as workers take core samples Monday at Bell Park. The drilling for core samples represents the first work on the site since Geller planned Bell Tower. And while it is a good sign that the prospective buyer is taking core samples, it is not a guaranty the deal will close, Geller cautioned.